The information here is to guide purchasers on what to expect and what not to expect in purchasing a property on the estate. Each householder in Northwick Park will be a shareholder in Northwick Park Ltd, and on purchasing their property will be issued with a share certificate that allows them to vote at the AGM. There is a quarterly service charge , the amount of which is determined by the Northwick Park Board and associated shareholders. The standard information pack includes a more detailed version of procedures summarised here, together with covenants and other agreements which must be signed by the purchaser and by NPL to enable transfer of ownership. The enclosed tariff gives details of fees due in advance for these services. Please note that NPL is not registered for VAT. The seller’s solicitor, who is responsible for initiating the transfer, requests and pays NPL (as detailed above) for all essential documents and the required pack or packs of information. On receipt of the fee, NPL sends the pack appropriate to the property concerned. Procedures summarised below are for the 71 freehold properties. These packs include a statement of account, covering any service charges, reserve fund contributions, and other money or actions required by NPL from the seller before transfer can be completed. NPL will notify the seller’s solicitor of any breach of the covenants which has not been remedied. Using a template provided by NPL or an appropriate standard form of Deed, the buyer’s solicitors draw up a Deed of Covenant, inserting specific details about the property and relevant previous deeds of covenant and transfer, as recorded in the Proprietorship Register obtained from the Land Registry. Solicitors advise the purchaser about the force of covenants applying to the property, which are set out in Land Registry records, and any supplementary regulations made by NPL for good management of the Estate (included in the information pack). The purchaser then signs the Deed of Covenant, which is sent to NPL. The sale can be completed at this point. A Stock Transfer Form signed by the seller notifying NPL of the new shareholder and a Notice of Transfer also needs to be sent, together with the seller’s original share certificate (or a signed declaration that it cannot be found). If so, and on payment of the required fee, the Deed of Covenant is signed in duplicate by the Company Secretary and a Director of NPL, or by two Directors. One copy is retained by NPL, the other is returned to the purchaser’s solicitor. On payment of the required fee, NPL signs in duplicate the Notice Of Transfer. One copy is retained by NPL, the other is returned to the purchaser’s solicitor. On payment of the required fee, NPL also sends to the purchaser’s solicitor a Certificate of Compliance for forwarding to the Land Registry, confirming compliance with all requirements recorded in the Proprietorship Register. 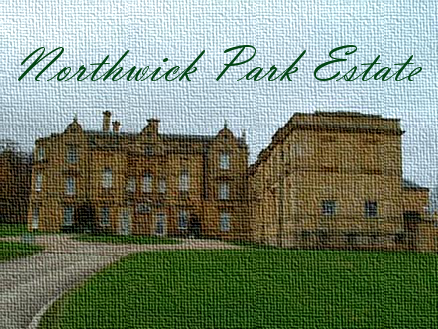 On payment of the required fee, a new Northwick Park Limited share certificate will subsequently be sent to the purchaser by NPL, or their representative. NPL will provide (subject to charge) supplementary information about these procedures, and any special cases which may be required by sellers, buyers, and their professional advisers. Please see attached tariff.